1/27/97--ICE RINK--DAN CAPPELLAZZO PHOTO--UPPER MTN. 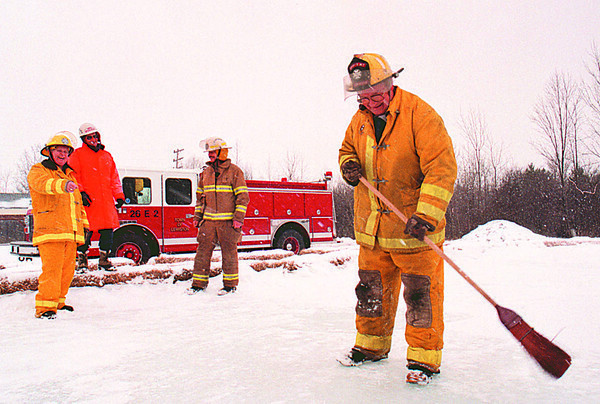 VOLUNTEER FIREFIGHTER EDWARD WEBBER CLEARS OFF THE ICE AS FELLOW FIREFIGHTERS (LTOR) CHARLIE KRAFT, CARL HILLMAN AND DAVE ORSI LOOK ON AT LUTHERAN CHURCH ON UPPER MTN. ROAD.